T-minus one day out from the broadcast of Drum Corps International's spring cinema event, 'The Countdown,' Dan Potter asks program producer and director Tom Blair what drum corps fans will have in store when they're sitting with popcorn in hand at theaters nationwide tomorrow, Thursday, April 24. Download and listen. (MP3, 11.7 MB) Subscribe to this podcast through iTunes. Subscribe to this podcast. 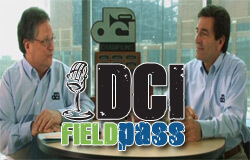 Check out the Field Pass archive.